Entities (a general term meaning unseen energies that tend to attach to humans) are everywhere. As anger, despair, and hatred accelerate, more are being attracted to our planet. These boogies, as I call them, feed off the intensity and negativity. Clients whom I have cleared of entities often ask me how to keep them off. I’m happy to share that information. Since you can learn to avoid them, I’d like to explain what attracts them to a particular person. While a few live on the body, most entities desire to reside in the auric fields* of a human or animal. Altered states of being such as inebriation through drug usage or excessive alcohol consumption create cracks in the aura that allow easy entry. The cracks may be temporary or, if drug or heavy alcohol consumption is regular, the cracks may be permanent. Where do you pick them up? They can be anywhere. Bars and hospitals are the worst places for trickesters. 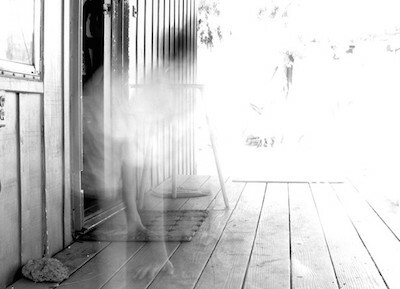 Nursing homes have a lot of lost soul (ghosts) entities, as people die there and may decide to stay there. Entities can be found any place there are crowds of people. Flower essences, as the essences work in the auric field. I particularly recommend Bach Flower’s Rescue Remedy taken internally or splashed on the body before entering a crowded area or where negative people hang out. Any sacred oils such as frankincense, myrrh, rose, and to a lesser degree lavender, daubed on the body. Also, angelica oil is a powerful anti-entity agent. So how do you get them off of you to begin with? It depends on how bad they are and why they are attached. In mild cases of infestation, you can merely ask your angels and guardians to remove them. Or, you can take Rescue Remedy on a regular basis. In more serious cases, I recommend that you call an expert. I’ve been removing entities since 1986 – 30 years – and if you need help, I can do that by phone or in person. If you’d like an appointment, call me at 512-444-9777. * Auric field – A field of subtle, luminous energy surrounding any living thing.